In June 2008 Jeff and Dee Horton discovered that their daughter, Evie, had Spinal Muscular Atrophy. 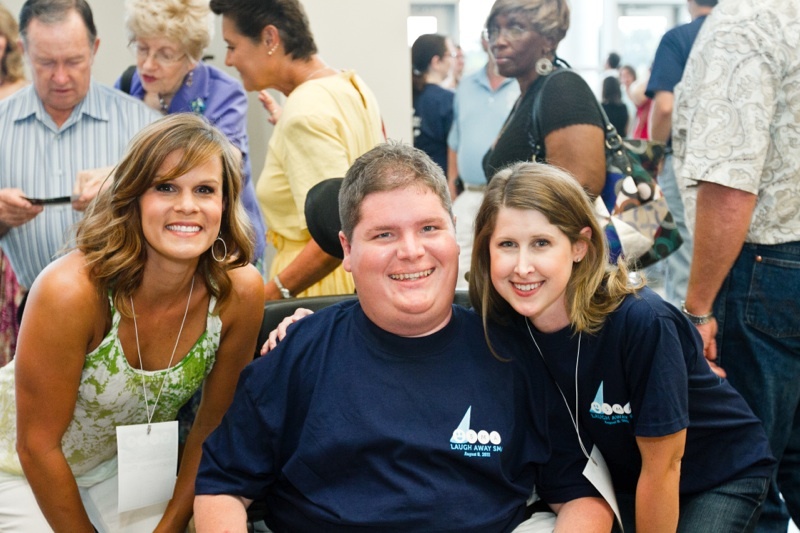 Few people that they talked to about SMA had ever heard of the devastating disease. Even many in the medical profession were not familiar with SMA. But then neither were the Hortons. “After you learn about the symptoms and the surprising stats of how common it is, you begin to understand how awful the disease is, what it does to children and their families. However, you keep digging and you realize how close we are to possible treatments,” Jeff recalled. Jeff and Dee desire the highest quality of life for their daughter. They want to be able to tell her, when she is old enough to understand, that they did everything they could to ensure she had a healthy and full life. So with this goal in mind they decided to become advocates for all families facing SMA and change the prognosis of this disease forever. In July 2009, Jeff and Dee started the appropriate paperwork and began a new journey. A journey to stop SMA.